Glam Morena: Walmart Beauty Box: Summer 2016. Walmart Beauty Box: Summer 2016. I signed up for the Walmart Beauty Box a few months ago. The box only costs $5.00 and this includes shipping. The Walmart Beauty Boxes are sent out seasonally. That's only $20 yearly, which is so much cheaper than other subscription boxes. The boxes are available in two categories: Classic (over 35) and Trendsetter (under 35) and you are able to change this preference. You even have the option to subscribe to both. The first box I received was the Spring 2016 box and I never got around to sharing it. 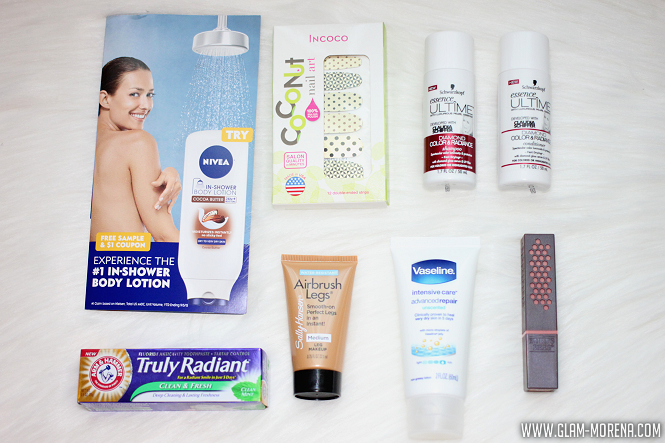 I wanted to make sure to share my latest Walmart Beauty Box for Summer though. You will mostly receive deluxe or travel size items in every box. I have also received at least 1-2 full-sized products in every box as well though. I received the Trendsetter Walmart Beauty box. 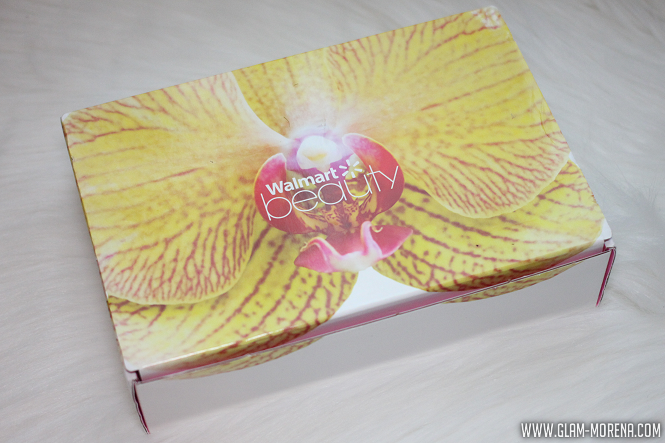 What's Inside My Walmart Beauty Box? The total value for this season's box is worth well over $5! I received two full-sized products this time around. Pretty much everything I received are products I would actually use. The only thing I probably won't use much of is the Sally Hansen Airbrush Legs because it's in the shade Medium. I think this subscription is worth trying because it is only $5. You can sign up here! Have you signed up for the Walmart Beauty Box yet? Thoughts?